Very frequently our engagements with a company start with a phone call from a senior manager asking me to fly to their location and assume the duties of the project manager on a particular endeavor. Sometimes it is a project that has not been started yet, but the organization’s executives feel that they do not have internal skills and capabilities to handle it. Sometimes the project has already been started but is experiencing serious issues with respect to budget, schedule or quality. So, I arrive at the company office, take on the role of the project manager - at least for the initiation and planning stages of the project - and deploy proper project management practices on a specific project. I call this model “the island of sanity in the sea of chaos”. Usually after a successful deployment of a project the executives approach me and request to expand the island of sanity model to the entire organization. This is when we engage the employees of the organization in a focus group to create a project management methodology based on the industry’s best practices but tailored to the realities of the company. The deliverables of this process usually include project management process, templates and a document usually called the “Project Management Charter” that acts as a governance document for all future company projects. 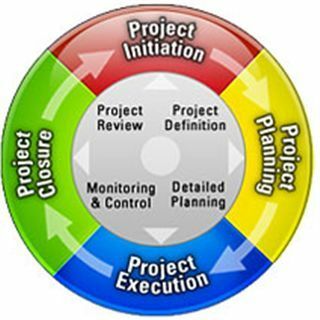 The third component that typically goes with the project management implementation is the project management training. The inherent problem here is that even if the company has access to a pool of good project management experts, the rest of the employees typically know very little about the realities of running projects. Running a company-wide project management training helps immensely in overcoming this problem and creating a healthy project management culture at the company.